Those of you who regularly visit the Story Maps gallery for ideas and inspiration might have noticed a modest change. 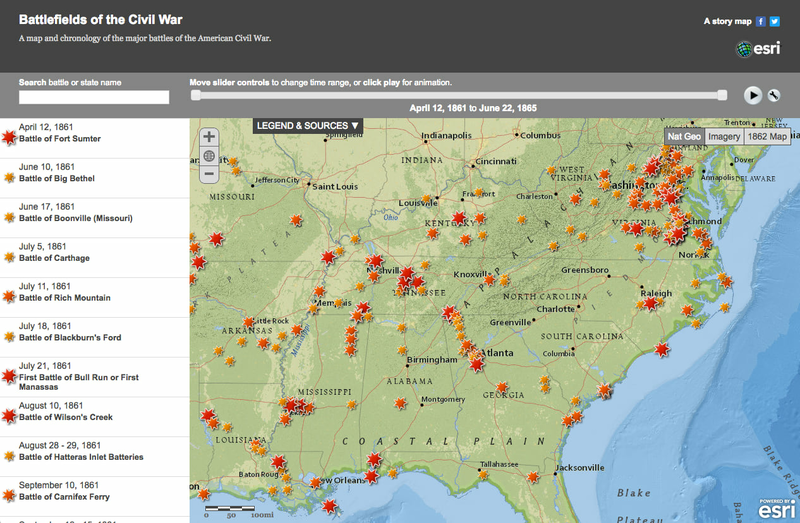 We’ve created a special category called “Story Maps Labs“. We’ve used this to delineate custom Story Maps that our team has produced. Each Labs item in the gallery has a special header. You can access all the Labs stories via a link at the bottom of our website’s apps page, and also by a new filter option on our gallery page. The stories that populate this new category have been featured in our gallery all along. We’ve decided to call attention to them for a couple of reasons. First, we had come to realize that our experiments sometimes caused confusion. Our users would ask us for access to the app on which the story was built, when in fact there was no app at all, just custom code. Second, flagging these stories as experiments is a chance for you to give us some feedback about them. Do our Labs stories provide features that you think would be useful storytelling tools for your own purposes? We’d love to hear from you. One of the secrets of our success in developing storytelling solutions is that, from the very start, we’ve produced our own stories as well as developing and maintaining our storytelling apps. It’s a formula we kind of stumbled upon. Back in 2011, as our team was just getting started, we assigned ourselves story topics, and developed user experiences to serve each particular storytelling need. As we produced these early stories, it became apparent that a few of the user experiences had potential as broader solutions. In other words, other authors might be able to pour their own content into our formats to tell their own stories. It was at that point that we began making our source code available. The next step was to incorporate builder functions and hosting services. Suddenly people with no coding expertise could easily create multimedia narratives that Esri hosted in the cloud. And things just took off. We had discovered a need that most of us hadn’t fully realized was there: to extend the power of GIS as a communications medium. The important point here is that our early practice grounded us in reality. We didn’t develop solutions based on a vague idea or an engineering challenge. We were solving real storytelling issues. That model continues. We work closely with our development team; they maintain and continually enhance our apps, and are currently working on a next-generation Story Maps product, about which we’re really excited. A couple of our early Labs efforts remain popular. 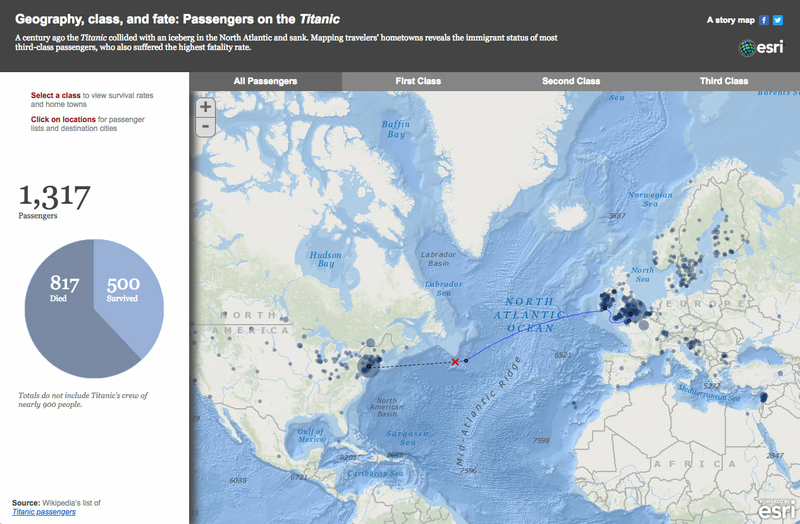 Among them is a Civil War timeline (above), and a visualization of the points of origin and intended destinations of the passengers on the Titanic (below). We partner on occasion with other organizations—most of them nonprofits—to produce custom stories. We do this to help get groups up and running with story maps, and to help them communicate about important causes and issues, including land conservation, biodiversity, and humanitarian affairs. 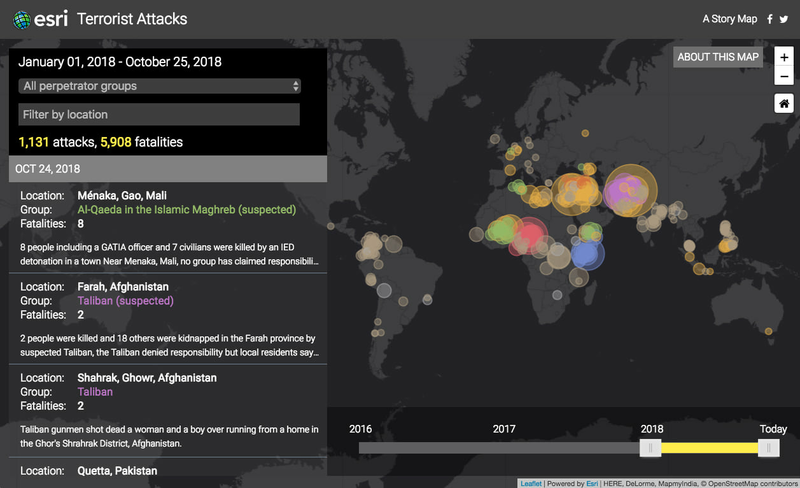 Two or three years ago a collaboration with PeaceTech Lab led to a custom Story Map of terrorist attacks that utilizes a Wikipedia database. We’ve made a number of improvements to the story since it was launched about three years ago. Month after month it’s our most-viewed Story Map—primarily because it is the first item that Google returns from a search on “map of terrorist attacks”. We’ll continue to produce new Story Maps Labs items to serve partner organizations, to prototype potential enhancements to our storytelling apps, and—now and then—just for fun. 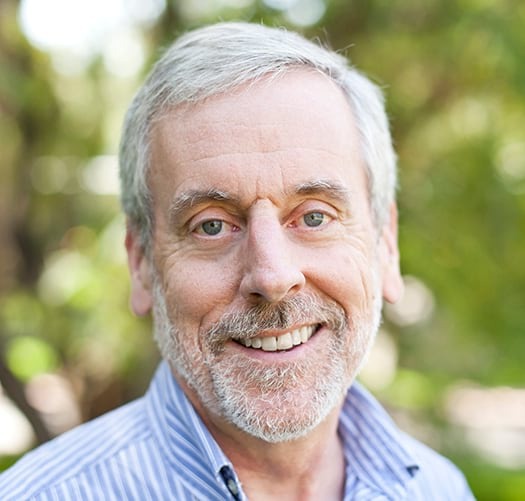 Allen founded the story maps team at Esri. Prior to joining Esri in 2010, he worked at National Geographic for 27 years in a variety of positions, including art director of National Geographic Magazine and chief cartographer at National Geographic Maps.